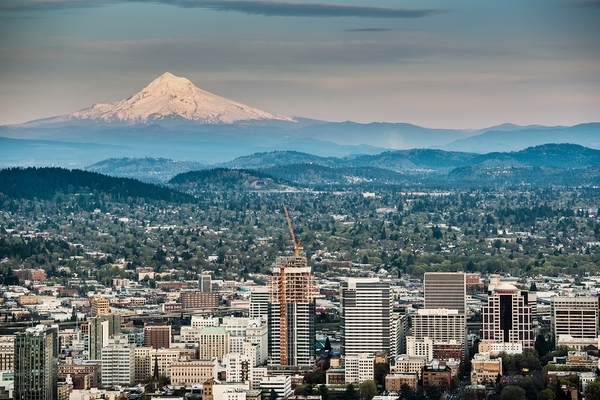 In Portland, more than half of the year’s rainfall comes between November and February. This Pacific Northwest city is renowned for its laid-back atmosphere, but residents aren’t casual about their need for rain drainage systems that protect their homes. When you need clear and free flowing gutters in Portland, OR, you know where to turn. Harry Helmet’s dedicated & local team has been transforming rain drainage systems for over 35 years. This family owned and operated business is dedicated to making sure that your gutters and downspouts are ready to see you through Portland’s rainy season this season and the life that you are in your home. In rainy Portland, a good gutter drainage system is a must. Why is Gutter Helmet® the #1 Choice for the Pacific Northwest? In the rainy climate of the Pacific Northwest, big trees and big rain combine to give your gutters a workout. That’s why you need Gutter Helmet®. With its patented nose-forward guard design, it covers your gutters and protects it from letting any debris in that will clog your gutters. 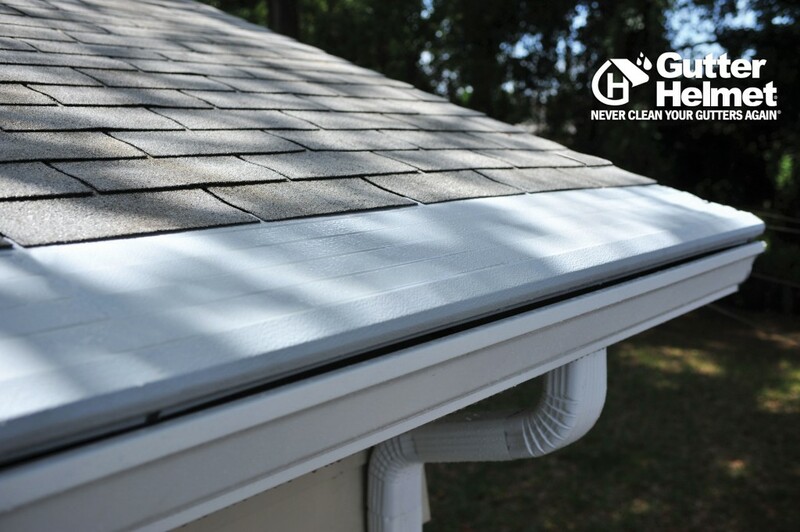 Unlike other leaf guards or leaf filter systems, Gutter Helmet® doesn’t use a mesh filter that needs to be cleaned or requires homeowners to clean out there downspouts. With Gutter Helmet®, the tiny needles that clog up those filters simply slide off the nose of the system. Gutter Helmet® allows water to run smoothly across the roof, over the gutter cover, and into the gutter. Water clings to the surface, while leaves and needles fall off the edge. This ensures that the water in your gutters and downspouts continues to run clear, no matter whether you’re experiencing a light misty rain or a heavy downpour. If rain drainage concerns are keeping you up at night, seamless gutter replacement and gutter covers are a great place to begin solving your problems. With Harry Helmet’s gutter products and certified installers, you won’t need to listen to the rainwater falling over the side of your gutters again. Nor will you be tempted to stand on a ladder at the side of your house, balancing precariously to try and remove those leaves that are clogging your gutters. Inefficient gutters can cause water and debris to back up onto your roof, causing significant damages and/or repairs. In the winter, this problem gets even worse as ice from the gutters creeps under your roofing, damaging it. Gutter covers will solve your gutter cleaning problems permanently by removing the possibility of gutter clogging. When you’re looking for new rain gutters and a gutter guard system for your home, you want a personal & friendly team that’s focused on the needs of your home and know the Oregon climate. Harry Helmet’s team employees installers that have years of experience and our trained & certified by Gutter Helmet to work on your home. We use no subcontractors. Fully licensed and insured all employees make sure that you get the service you need no matter how many trips are required. Call us today at 888-543-5638 or contact us to learn more about Gutter Helmet® or new seamless gutter replacement.